Jinan LD chicken blanch machinery include mian equipment, drain blood LDaughter line ,equipment for clean up the internal organs and other auxiliary equipment . 1.hanging live chicken on the drain blood chain, butchering drain the blood. 2.the drain after the blood, the chain of hair chicken into the curved LLDe scalting pool. 3.poultry carcass from curved scalting pool directly into Horizontal hair removal machinery. 4.after the hair removal, dig organs artificial on the conveyor. after digging organs , the chicken carcass into precooling by LDope conveyor machinery, cooling and flushing. 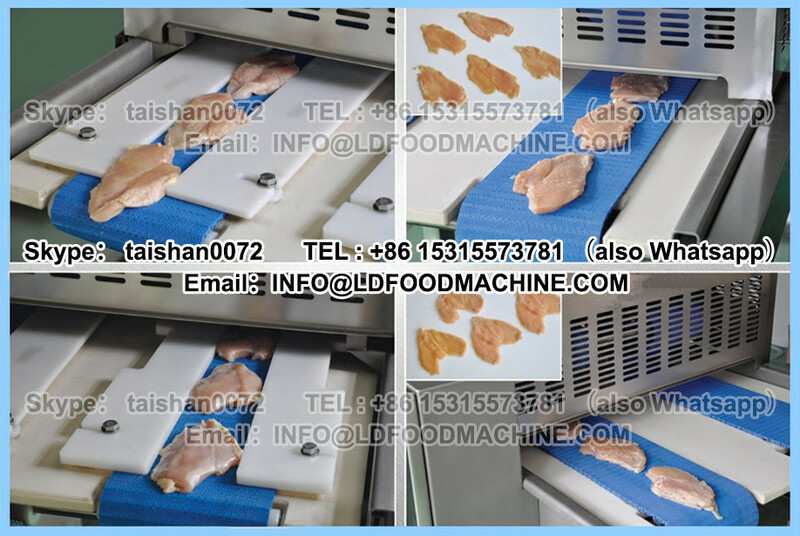 5.chicken carcass out from precooling machinery, send to conveyor, directly for weighing and grading. packaging and warehousing. there need two engineer to install the chicken LDaughtering equipment. Regarding our experience, It need 15 LDs to finished the installation, but if there is any question for workers, the instrument or other item, the installation shall be according the detail situation. 3.board and loLDing.It shall be afford by the buyer when our engineer stay in your country to install the machinery. 4.There are the basic tools for installation, any other question shall be according the detail situation.